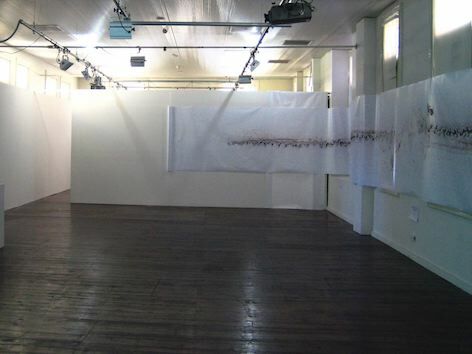 A roll of paper creates a pathway across the space. 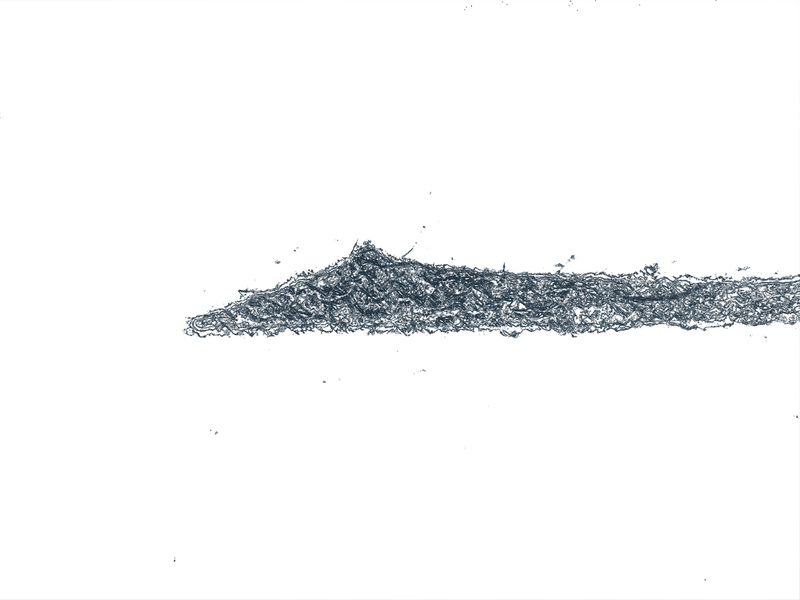 A figure appears at either end, shrouded head to foot in white; faceless, disembodied. The only visible flesh is an arm emerging from the fabric, bleeding. 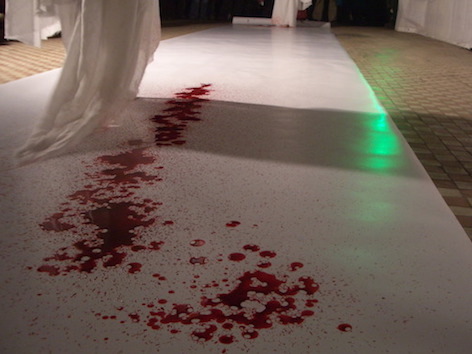 As the figures approach one another the blood drips, leaving a trail on the paper. 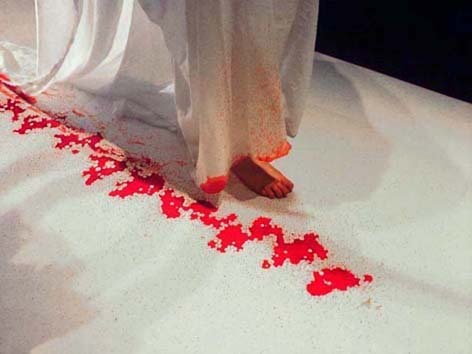 The hems smear the path of blood, becoming stained. The figures meet in the centre and crumple into one, individually indistinguishable. 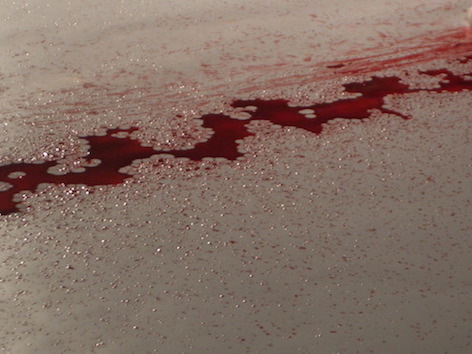 The bloodbath on paper became an artwork in itself. 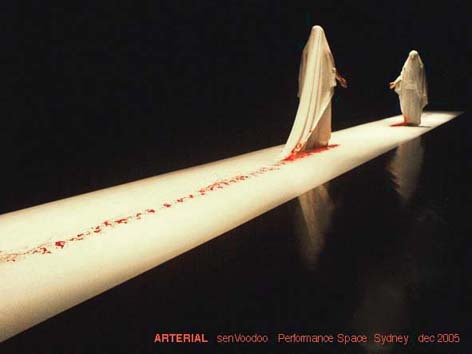 In some renditions, it remained as part of the video installation for the duration of the exhibition. 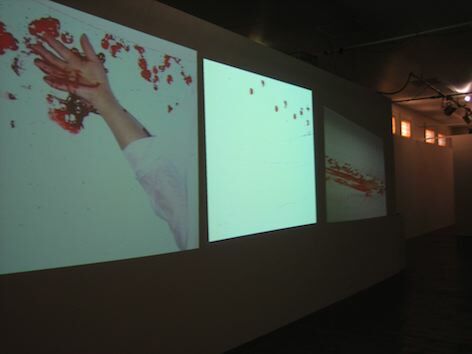 In others the video installation with bloodbath was exhibited alone, without the live performance. The video installation featured the performance shown on three screens. Each time it was installed differently depending on the space.